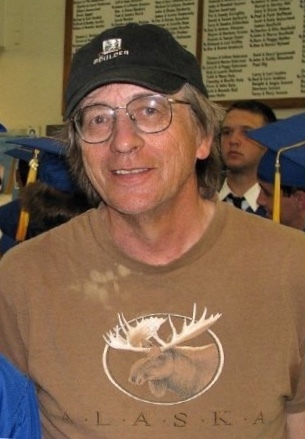 Robert Anthony Kramer, 66, of Owatonna passed away on Thursday, August 16that St. Mary’s Hospital in Rochester. Bob was born in Virginia, MN on June 8th, 1952 to Anton and Josephine (skule) Kramer. After graduating from Gilbert High School, he attended Bemidji State University and received his teaching degree. He spent his early years teaching in Virginia, MN before working for several years in the iron ore mines. Following his family south, he moved to the Steele County area in the early 2000’s. He worked in several different career fields, and most recently as a security guard for a local company before retiring. Bob enjoyed listening to classic rock music, watching movies, cheering on the Vikings, Gophers and Twins, fishing, golfing, and most of all spending time with his niece Megan and nephew Anthony. Bob struggled for many years with sobriety, but he and his family are proud to say he spent the last 15 years of his life sober and happy. Bob is survived by nephew Anthony (Maggie) Kramer and their children Leo and Maudie of Owatonna, and niece Megan (Nick) Zawacki of Lincoln, NE and their mother Carol Hodapp of Owatonna. He was proceeded in death by his parents and his brother Thomas Kramer.